Seventy-Two Cobalt Classic Ω Turnout Motor with all installation accessories including mounting screws and one of our very popular double-sided foam mounting pads. The Club Pack is ONLY available directly from DCCconcepts. 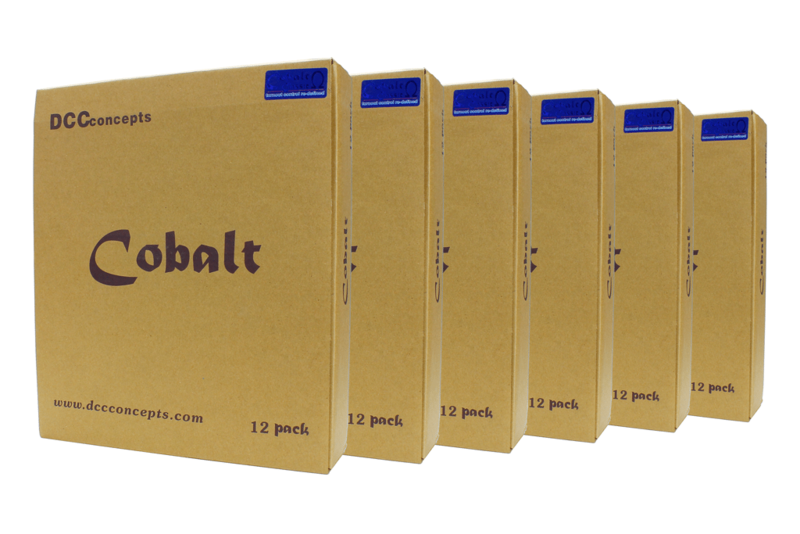 Suitable for all gauges from large to very small, we even have an easy-to-use Cobalt Installation Template complete with Tools! We recommend that you use a regulated DC power supply between 9 and 12V DC, although we do understand that some systems for larger scales have higher accessory voltage power supplies and that DCC accessory decoders may have higher output voltages. 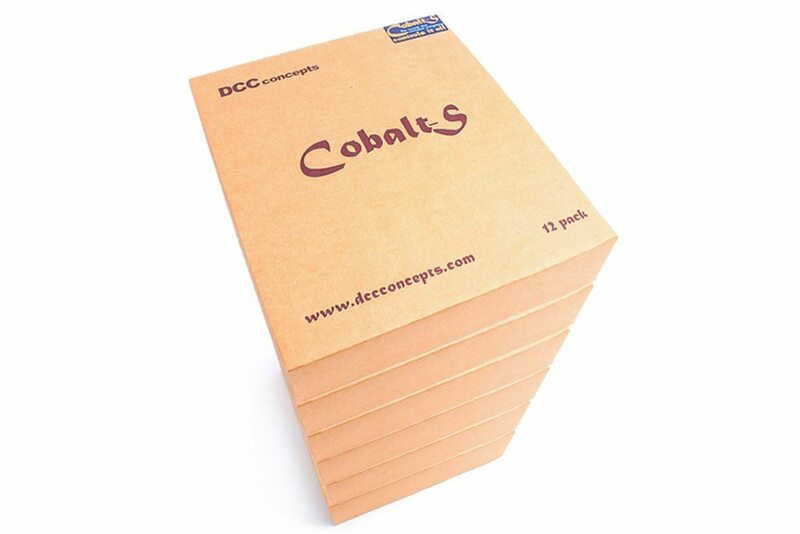 For this we’ve added a simple “voltage range change” switch to the Cobalt Classic Ω. This allows it to accept two power input ranges, 6~12V or 12~18V. For DCC control we strongly recommend that you use our AD8fx decoders to add additional functionality not available from other brands. The Cobalt iP is supplied with the throw bar already centred for easy installation and it has three “break before make” changeover switches. One is a low power SPDT switch linked to the Cobalt Ω drive power directly to allow easy connection of low current lighting (for example panels or signals) or for linking to your computer or system control to report turnout position. 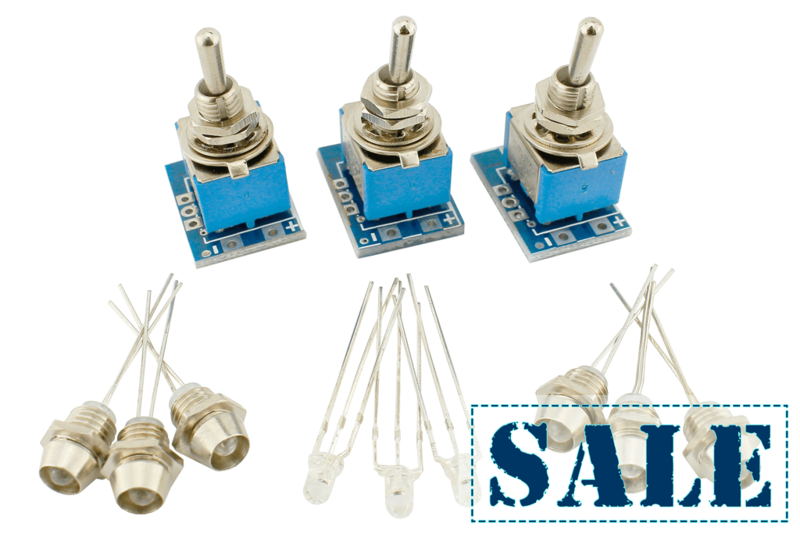 The other two are super high power SPDT switches suitable for up to 5 amps continuous power handling and so are usable for frog polarity, interlocking or many similar applications. 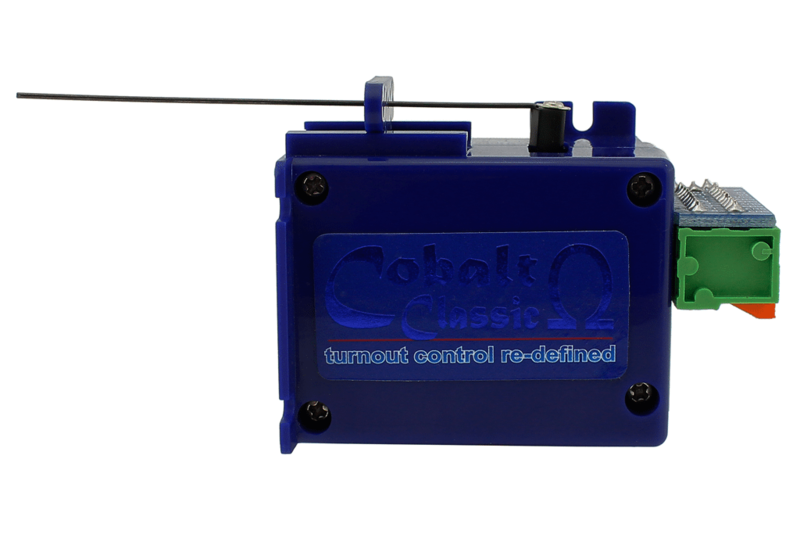 Because Cobalt Classic Ω Turnout Motors are switched with reversing DC power, the LEDs for control panel indication can simply be put in-line with power leads! You can then use all the switching for other layout needs. You can also have it both ways with the Cobalt Ω. Just add digital control with our Cobalt AD8fx accessory decoders and still retain the ability for both conventional control panel as well as DCC or computer control at any time! All of this – with a lifetime warranty!